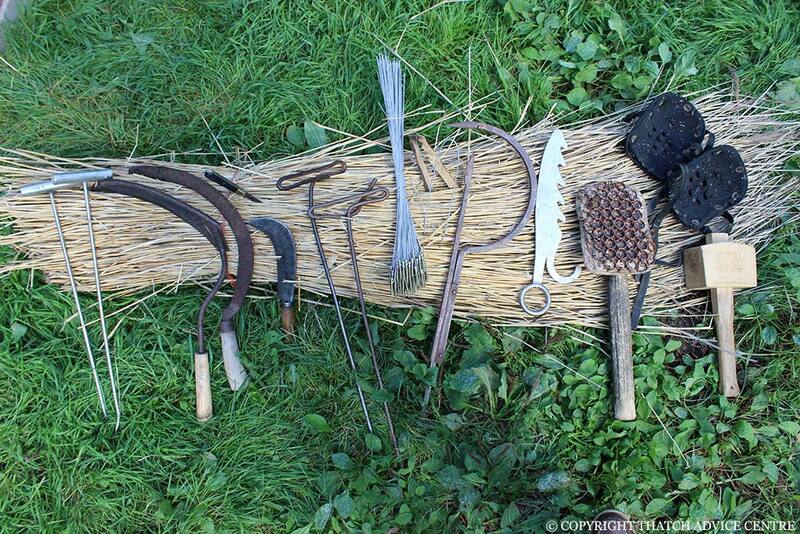 Almost all of a thatchers tools of the thatching trade are hand tools. 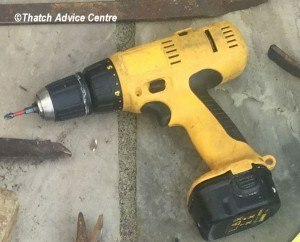 Even the ladder could be classed as a tool rather than equipment. 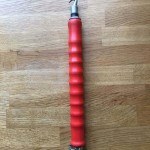 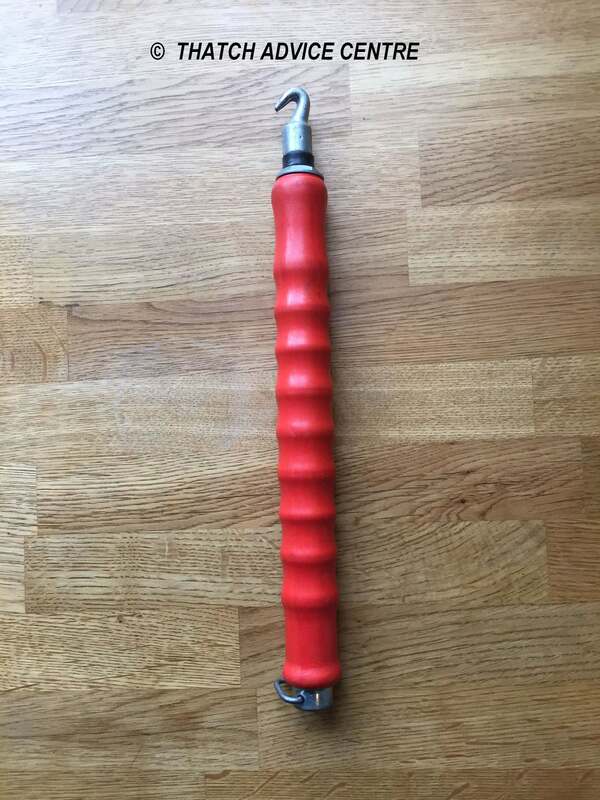 A sack shutter tool used to twist stainless steel wires down to the screws for a tight fixing. 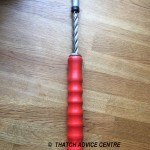 Used to secure screw fixings to battens with screws and wires fixing method. 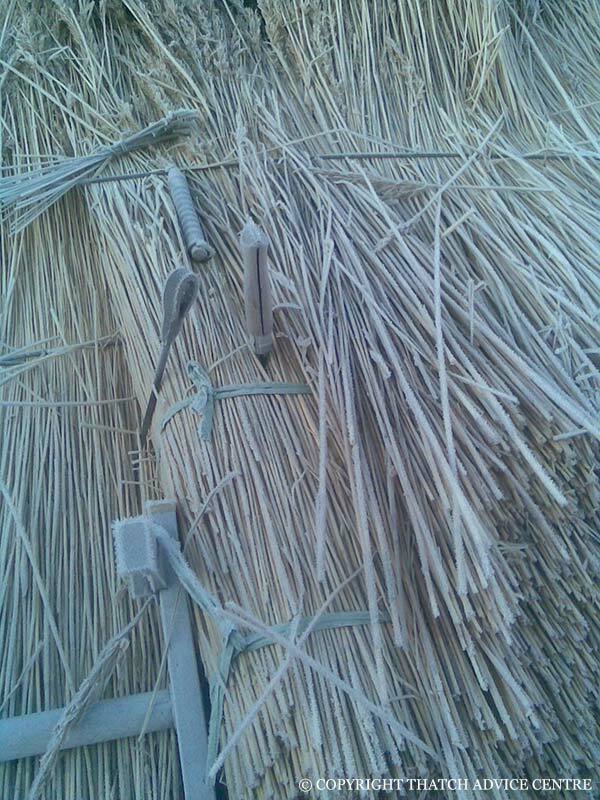 Used to do final brush down of new roof elevation coatwork. 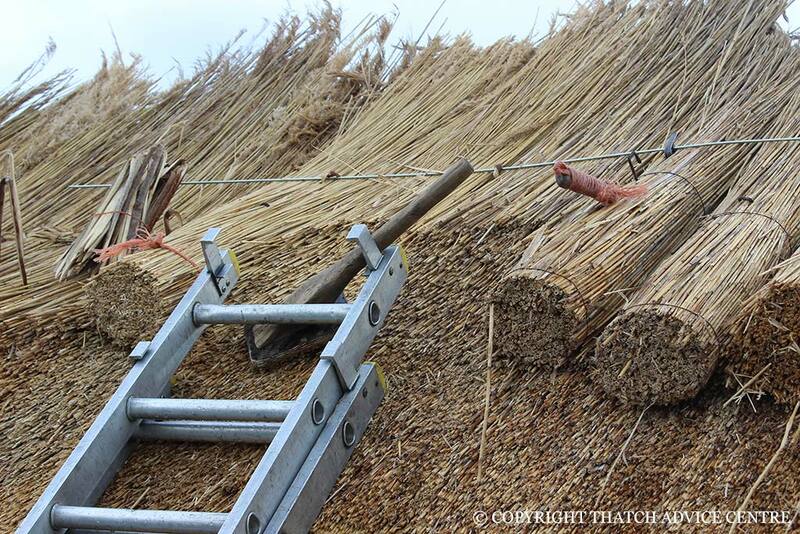 Used to cut strings on bundles, some thatchers use to cut out ridging and trim thatch. As above and for trimming bundles and cutting eaves out. 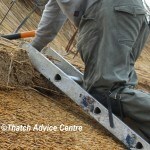 Used to measure the depth of the materials going on the roof. Flat headed paddle shapped tool used to dress up coatwork on combed wheat reed and water reed. 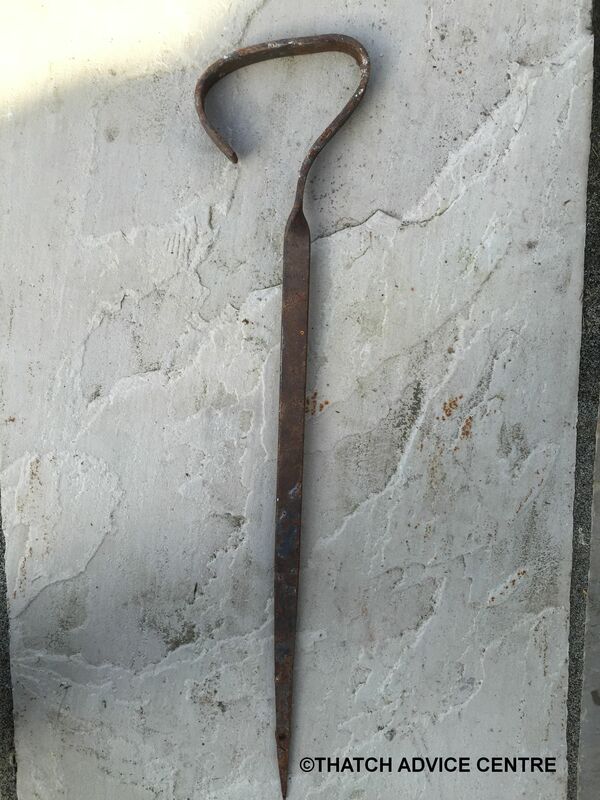 Used to bang in spars and other fixings and pat up the block of the ridge. 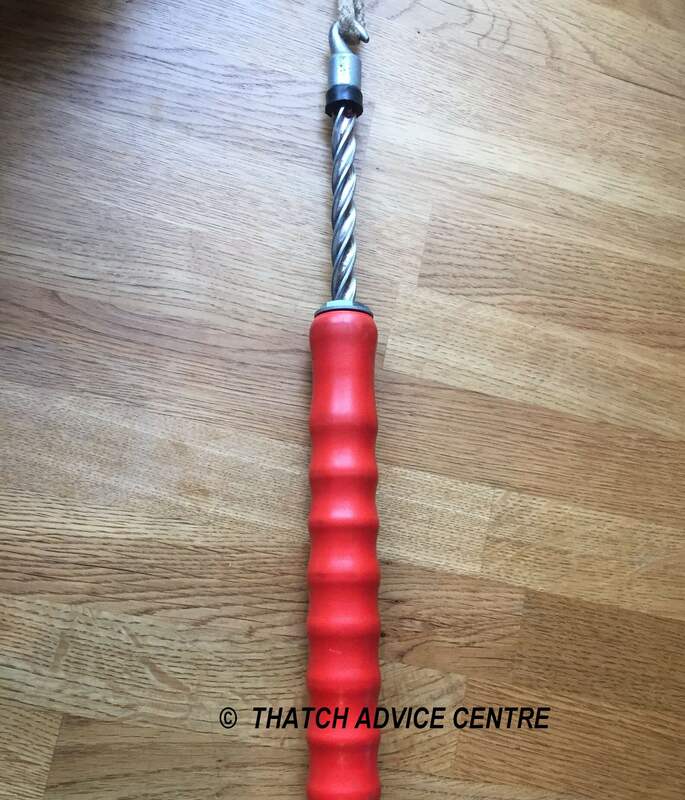 Used when securing materials to batten with stitching method. 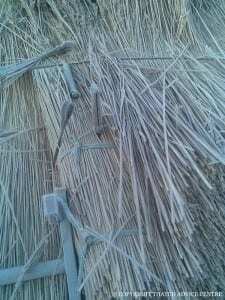 Used to twist the edges of the wire netting together when applying to the completed roof. 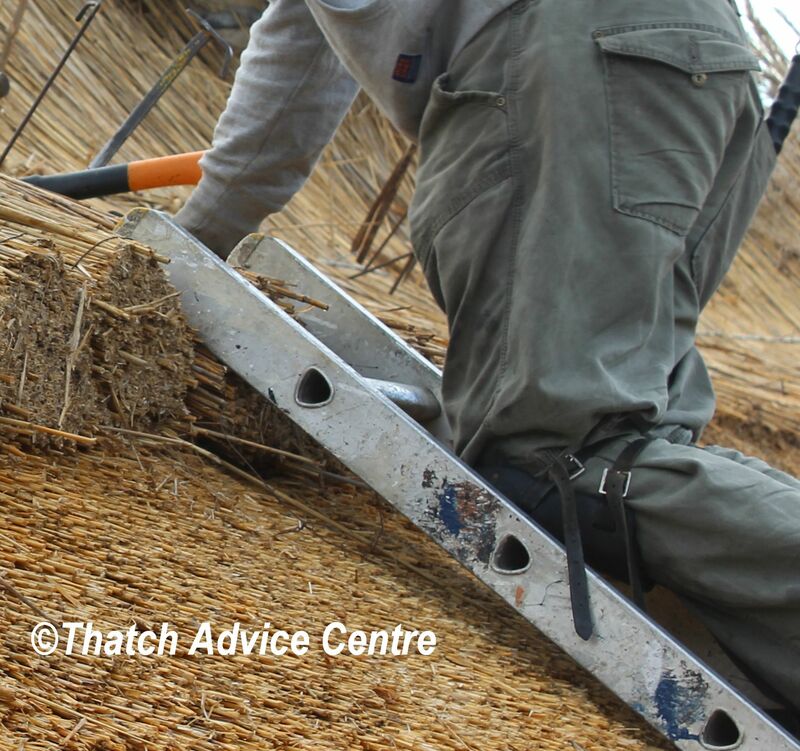 Pads worn on the knees to protect the thatcher from discomfort when kneeling on ladders. 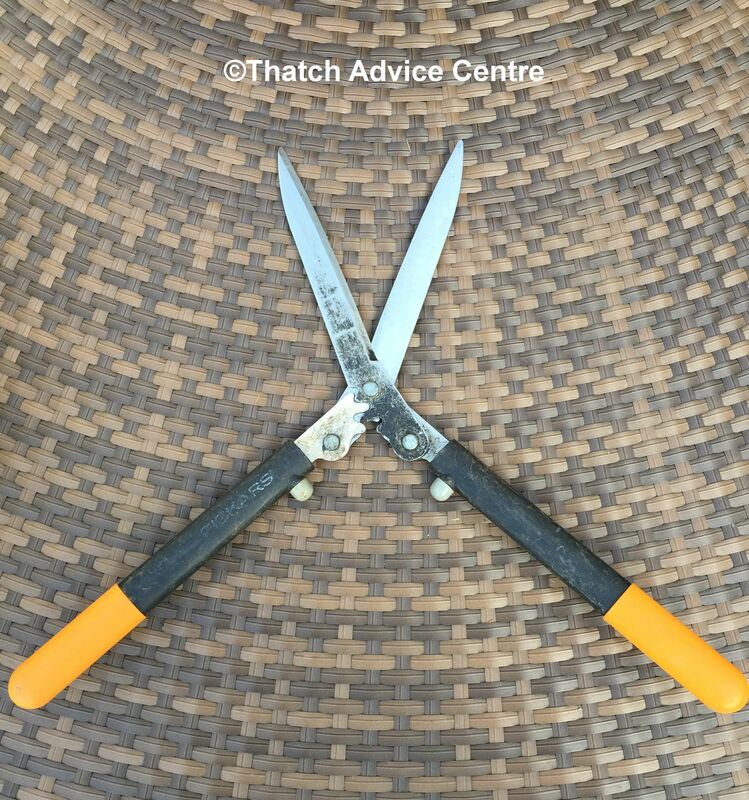 Used as a knife to cut bundles etc, and used to make liggers and spars, trimming and shortening them as part of the thatching process.